February 2014 – RallyNews – Patterson Pacenotes Extra's….. 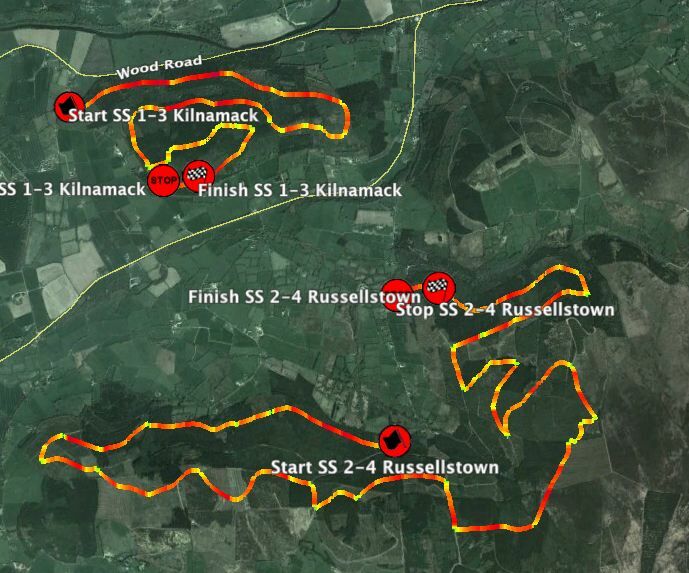 While the Galway International and the Swedish Rally are stealing the rallying limelight this weekend, the very popular Riponian Stages is also going ahead this Sunday. This super little clubmans event utilises the small forests and woods in and around the Sutton Bank area just east of Thirsk in Yorkshire. For some reason our set of Stage traces is missing SS 3 but otherwise the set is complete with the rest of the stages. We have also included a gpx file of the stages that is very useful with a website like GPS Visualiser (Linked in the text at the bottom). As usual, enjoy the data and good luck to everyone invloved in the rally this weekend. Remember though, Please note that the Google Earth files are contained in a zip file. If you are using a computer, they will be downloaded to your downloads folder and can then be opened with google Earth. For mobile/iPhone/iPad users – you will be asked to “open in” an app like iFiles or Evernote etc. You must do this and then unzip the files. After this the files can be opened in Google Earth. It seems a long way around but it is worth it. It is assumed that you have installed both a file viewer & Google Earth beforehand. If not they are all available via the App Store and the Android Play Store. It has been a difficult week for the Colm Quinn BMW backed Galway International Rally oragnisers. Flooding has affected so many people across Ireland and the UK in the past few weeks. It is an awful thing to have your home or business devastated by such events. This weekend’s rally has had it’s own fair share of flooding, and a result, a last minute re-routing of the Saturday stages has brought it’s own challenge for the event’s organisers. 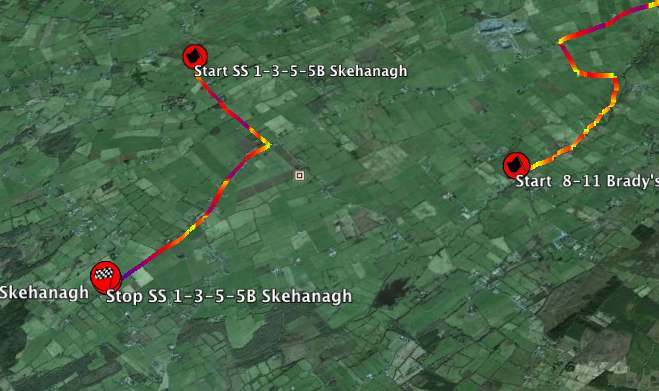 We have updated our Jemba Speed Traces to reflect the route changes but if you are planning to visit the rally, be aware that area’s around the first and second stages are pretty inaccessible due to the high water levels. More information about the flooding is available on the official rally website (Link) . In the meantime, enjoy the download and good to everyone on the Galway Rally this weekend. Today sees the both the RAC British Historic Rally Championship and the Valvoline Irish Forestry Championship kick off for the 2014 Season. The Red Kite Stages and the Sean Conlon Memorial Rally are the respective events in South West Wales and County Tipperary. As usual we have taken some of our advanced technology that the Jemba Interia Pacenote System can deliver, and are posting the speed traces for the stages today. Enjoy these and the best luck to anyone competing, marshalling or otherwise involved today.